Wanting opinions on 32x textures. You may be wondering what am i doing 7:47 pm, well i just can't sleep! 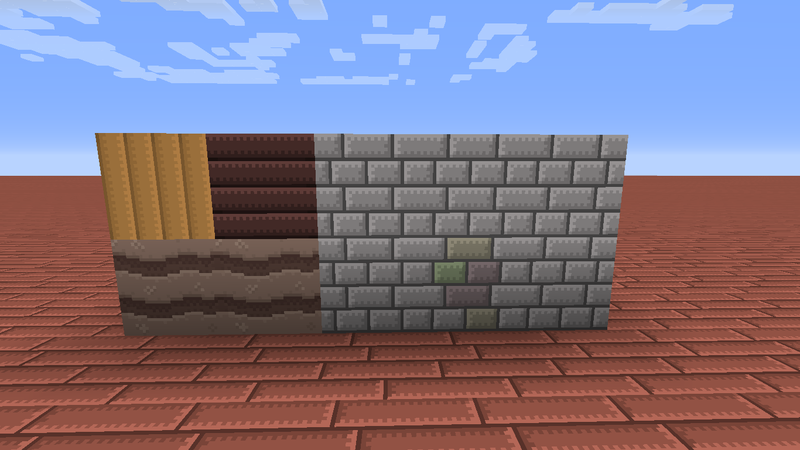 I like almost all the textures, but not so much the cobble. It looks to sloppy. Try adding a bit of order and make each stone a bit more similar. That should help. 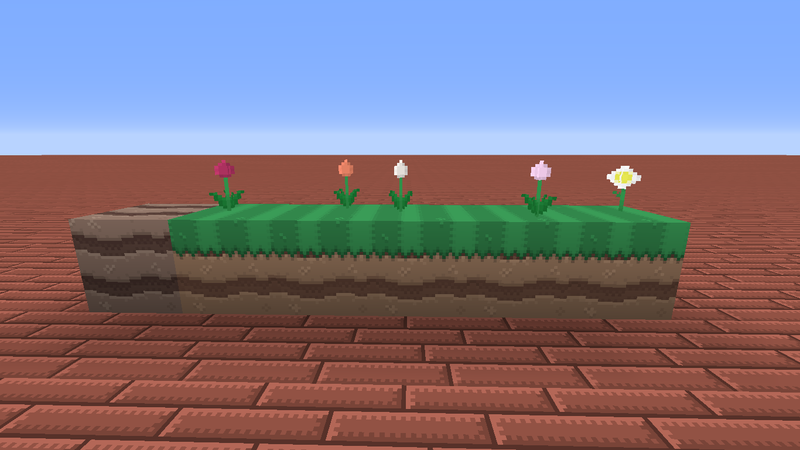 Ok, i made a new cobblestone and moss stone, i also changed coarse dirt, acacia and dark oak planks, and i made new flowers. 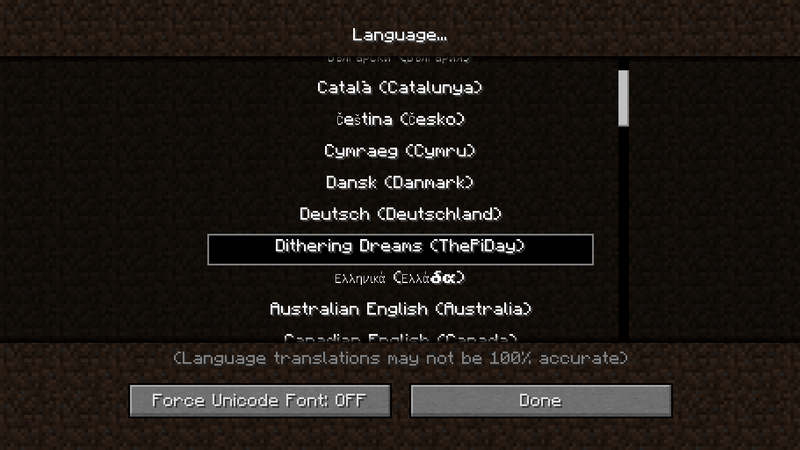 The pack now have a custom language! It changes melons to watermelons and other things too. Well, here's glowstone and updated glass and netherrack. Made sunflower, edited podzol, added more red to the dirt dark part. I really like how your resource pack is turning I out, I really want to try it out once its done, Keep it up! I changed a little bit the granite, diorite and sunflower. I also want to change the glowstone, any ideas? Either make the glowstone more lantern-like, here is an example one one I made yesterday. or you could make it look more like a natural stone-like texture. On this point here: So does this mean you have a totally separate language? If so, I'd recommend against that. 99% of the time people aren't going to switch the language to yours, not only because they don't know you made one, but also because they likely don't care as it's very subtle. The only time you should make a new language is if you are making an entirely new language or possibly a themed pack (like sci-fi, medieval, custom lore, etc.) that is highly in-depth and strays from the core game into its own universe. So here's what you do. Find the lines of the language file you change, delete everything else (feel free to organize the lines to your whim). The game will replace any missing lines from your language file with the language file it modifies, basically injecting your changes. Doing this also ensures that you aren't including unneeded data that bloats your pack for no reason (think of the KiBs!). 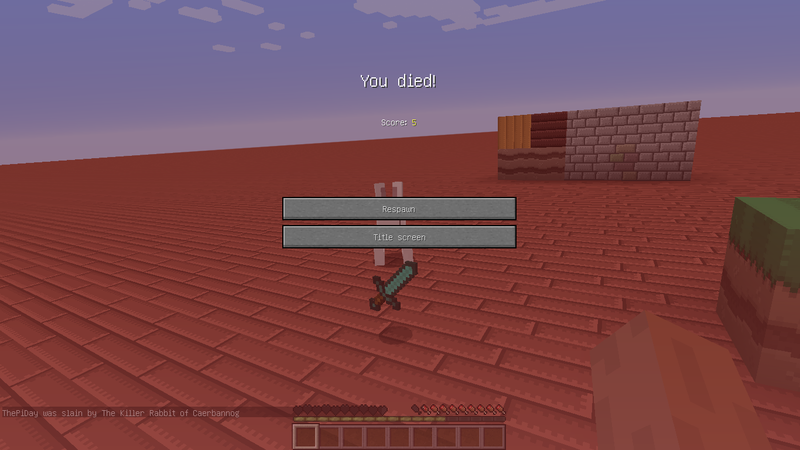 options.languageWarning=Using language from resource pack. It will notify them, should they go in the language selection, that your pack changes things around a bit. Be sure to include these if you're not a fan of people in other countries being left out in the dark. Most people should be using en_US.lang (I do believe this is default, unless I'm missing some regional or system language check) but some people change it. Also, texture related: I'm not a fan of the natural blocks (specifically, talking about your hardened clay) using brick textures UNLESS there is some lore behind WHY (See: Broken Anachronism, a post-apocalyptic steampunk pack, tons of waste, the world is flipped upside-down and thing are generally "imitations" or "mutations" of nature). Plus, I think the standard brick design is only second to the "drawring a box around it" design in terms of laziness/unoriginality. This goes for sandstone too, because I think it looks pretty weird to have bricks in every single desert (under the sand, and on the mountains). The difference here? It's not a consistent checkerboard. Experiment, put small dithered areas in some places, but not others. Try dithering with other shapes and patterns other than checkerboard, or even break it up (causing patches not connected but near a similar shaded area). Sometimes you won't even NEED dithering (well, you really don't anyways), but putting a little at the edge of a shaded area can accentuate the shading a bit and make it a little bit softer without adding a new color that isn't needed. Lastly, not sure if you know, but since you're going for low-color (at least so far) you might want to look into an image optimizer (at least if you're going distribute your pack). It made the textures in my pack half as small (being a 16x pack), but yours might benefit even more. Basically put, it gets rid of data that isn't needed, indexes (indexing is basically a smarter way to store color data, where it saves the location of each color kind of like paint-by-numbers) the image, compresses it more (if needed) losslessly. Keep in mind that you don't want to optimize partially transparent images (indexing does not hold alpha values, but it's stored in metadata, which an optimizer will strip away if you use it on an already indexed image), and you will want to make sure very gray images convert to indexed rather than grayscale (due to a bug, Minecraft renders grayscale much too bright, and does not render transparency properly). Here is an Optimizer for Windows. In the rare case that you may be using Linux, I personally recommend Trimage. If you decide to find another optimizer, be sure to find one that uses multiple (typically 3) optimization methods! Thanks alot! I will do everything you said. You have improves leaps and bounds. Its really quite amazing and makes me very jelly. It all looks very amazing. I am glad to see someone actually take the criticism and improve, especially at the level you have.